This is an egg, turkey sausage and cheese breakfast burrito. It takes 90 seconds to cook and then you let it set for about two minutes. I've yet to meet a frozen breakfast burrito from the grocery store that I've really loved. Most are kind of gross with fillings that would be difficult to identify if it wasn't expressed on the packaging. This one isn't as gross. 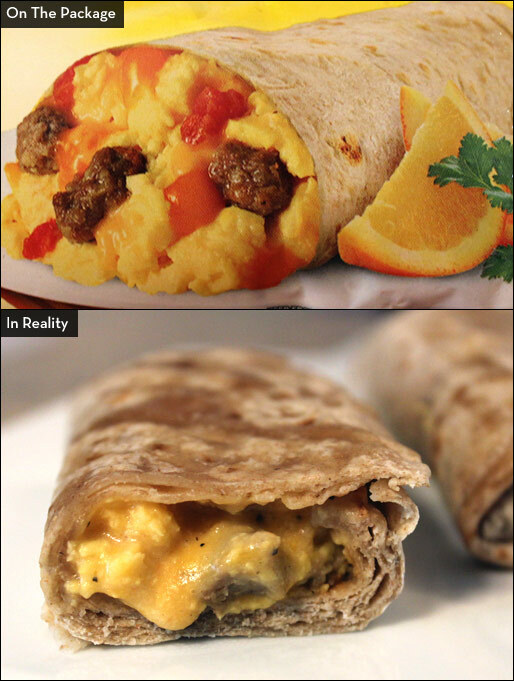 You can actually distinguish the egg, sausage and cheese from each other... unlike some others where the filling is just gloppy mess (see Tina's Breakfast Wraps). When cooked, the tortilla wrap is a little bit soggy. The packaging shows red peppers within the filling. I couldn't identify any of those in the mix. The cheese has a pleasant flavor. The egg is more of a texture element that doesn't provide much flavor. The turkey sausage was disappointing. It tasted more like turkey hamburger and was a tinge on the gamey side. This burrito would benefit greatly from bolder flavors in the sausage. The burrito is a bit spicy, but you notice the heat after you've chewed a bite and not while you're eating. The bottom line is that this burrito is quite lame. I recommend that you avoid this one. Nutritional Considerations: Each single burrito serving has 220 calories, 8 grams total fat (2.5 grams saturated and 0 grams trans), 60 mg cholesterol, 410 mg sodium, 28 grams total carbs, 3 grams dietary fiber, 2 grams sugar and 11 grams protein. 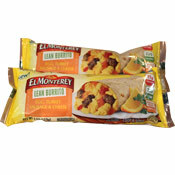 What do you think of El Monterey Lean Breakfast Burritos? 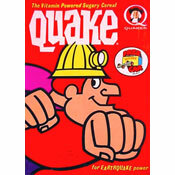 I've been eating them 2 yrs and suddenly they are much gamier than I remember. Keep throwing away. It's the meat.